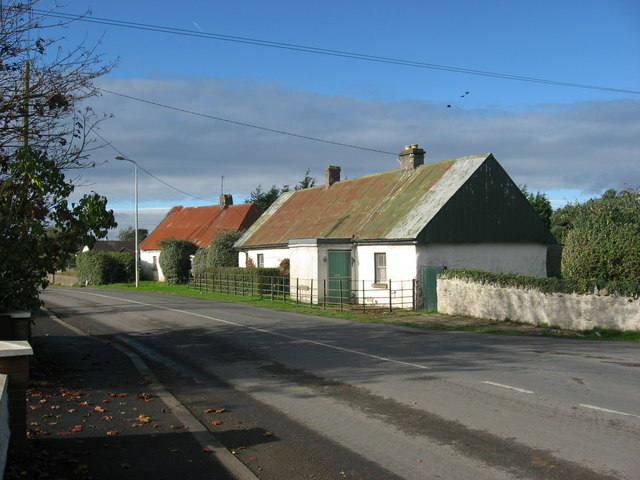 These two tin-roofed cottages at the crossroads in Donacarney village were scheduled to be retained in a re-development of the site proposed in 2007 but which did not proceed. Both cottages would originally have been thatched. Of the two, only the far house, with red roof, is shown on the 1836 O.S. 1st edition six-inch map and is in the townland of Colp East. The near house, built post-1836, is in the townland of Donacarney Great. This page has been viewed about 222 times.